A heatwave is set to sweep through the southern states. Picture: Sky News Weather. Pretty much no matter where you are, it's about to get hot. 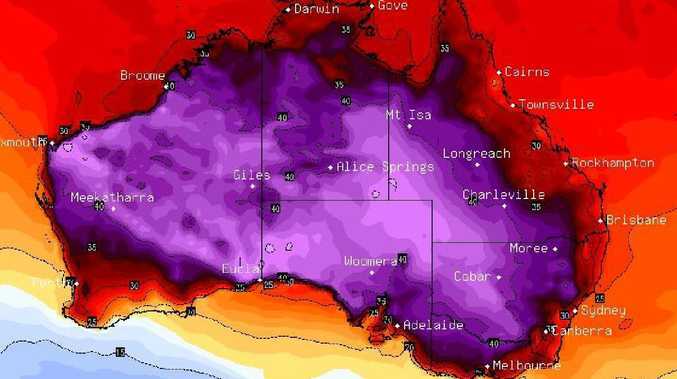 Just about every state and territory will bake through a heatwave from Monday with meteorologists saying soaring temperatures will last for days in some parts of the country. Hot days are expected in January but multiple days in a row of temperatures above 40 degrees is pretty unusual, the Bureau of Meteorology said. "Particularly northern South Australia, they're looking at maybe five days in a row above 45 and normally they might only get five or 10 a year," meteorologist Dean Narramore told AAP on Sunday. The bureau is warning Aussies to take care in the hot conditions this week. Low intensity heatwave conditions have been forecast across parts of central Western Australia to southern parts of the Northern Territory, southwestern Queensland and across NSW, Victoria, Tasmania and South Australia on Monday. Some regions won't be affected at all while more severe and extreme heat conditions are expected across each state, moving into east and northeastern NSW and southern Queensland by mid to late week. It comes off the back of heatwave conditions over the Christmas and New Year period, with inland areas being hit hardest. Holiday-makers and those getting back to work in Melbourne can expect to see a few days in the mid to high 30s, while a sea breeze will shield Sydney city. But that relief won't stretch to the city's western suburbs, where Mr Narramore said residents in Penrith and Richmond would swelter through four or five days above 40 degrees. Canberra is forecast to have six days in a row with temperatures over 35 degrees, and the mercury is expected to hit 40 on Wednesday and Thursday. Adelaide is due to hit 41 degrees and 40 degrees on Tuesday and Wednesday respectively. Brisbane will escape the worst of it, enjoying maximum temperatures in the low 30s all week while Perth will also miss out and isn't forecast to exceed 30 degrees until next weekend. A tropical low may lurk off the Western Australian coast, creating stormy weather on Sunday and into Monday, but will then move further off the coast, Mr Narramore added. 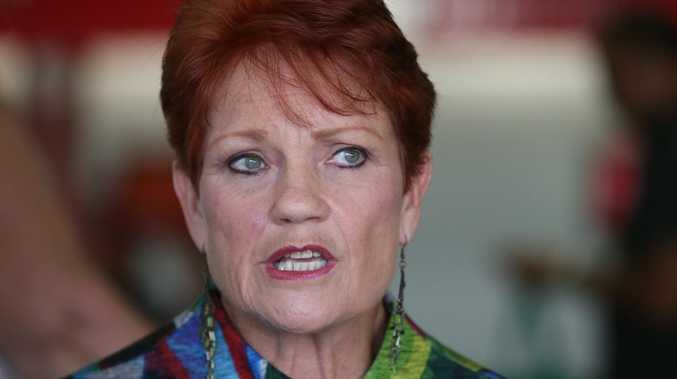 "That could become a cyclone but it's not going to come anywhere near the coast," he said.